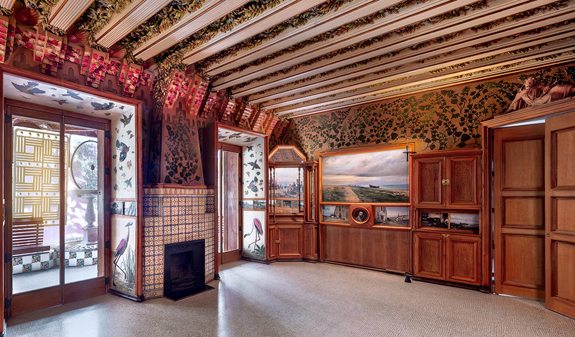 A unique visit to the first major building from Antoni Gaudí’s youth, open for the first time and designed when he was just 31. 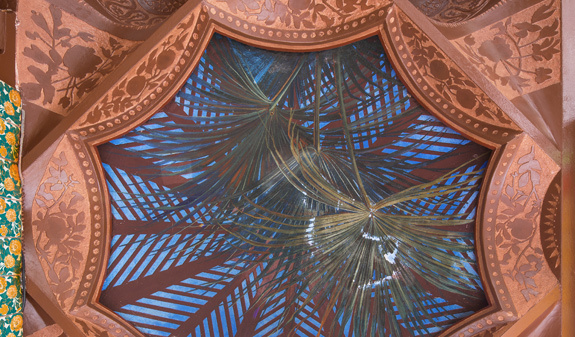 The Casa Vicens was the first house designed by Antoni Gaudí and the building that marked the beginning of his career. He took inspiration from nature and, using elements including wrought iron, ceramics, painting… created an innovative and original work. For the past 130 years the Casa Vicens has been a permanent residence, originally a summer holiday home and then a family home. Now you have the chance to visit this architectural gem, a UNESCO World Heritage Site that has been restored in 2017. You’ll be able to discover all the hidden details on the first and second floors and in the garden with descriptions labelled in English, Spanish and Catalan. 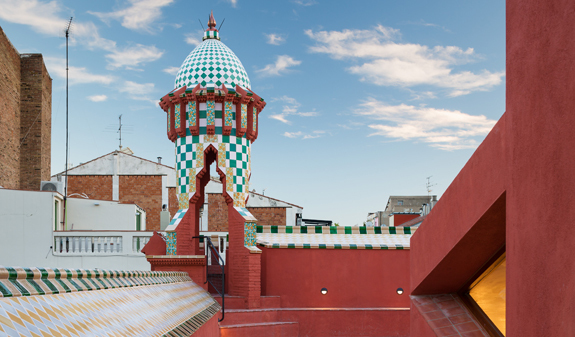 90-minute self-guided viewing of the Casa Vicens. 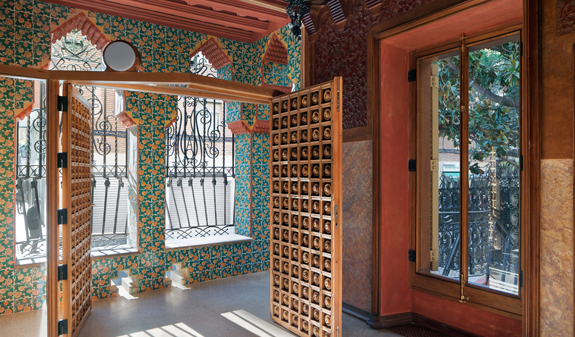 90-minute guided tour of the Casa Vicens. Times: Tuesday to Sunday, 10am to 8pm. Monday from 9.30am to 3pm, From 15th October to 31st December from 10am to 7pm. Closed: 1/1, 6/1 4/10 and 25/12. Address: c/ Carolines, 20. Metro: L3, Fontana station. 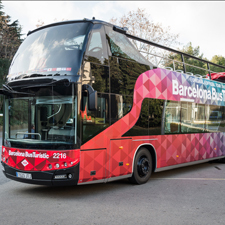 Buses: 22, 27, 32, 87, 114, N4 and V17. 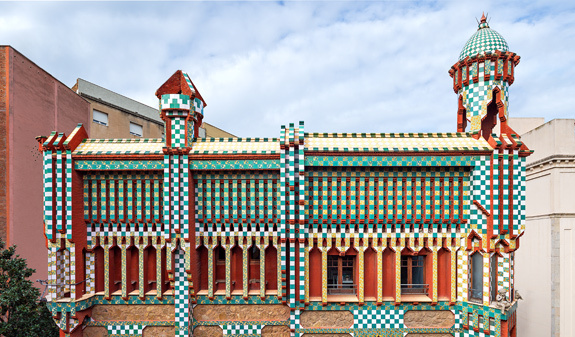 Once you have completed your purchase you will receive an email with a voucher containing a link (pdf) where you can download your ticket to the Casa Vicens. Reduced ticket: over 65 years old, students under 25 years old, official disability certificate. Children under 7 free admisison. Adapted visit for people with reduced mobility. No beachwear may be worn. 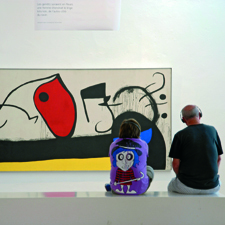 Please talk quietly to ensure everyone enjoys the Casa Vicens experience.